Image: Bourmond Bryon (1920?-2004), “Untitled” (Date?). 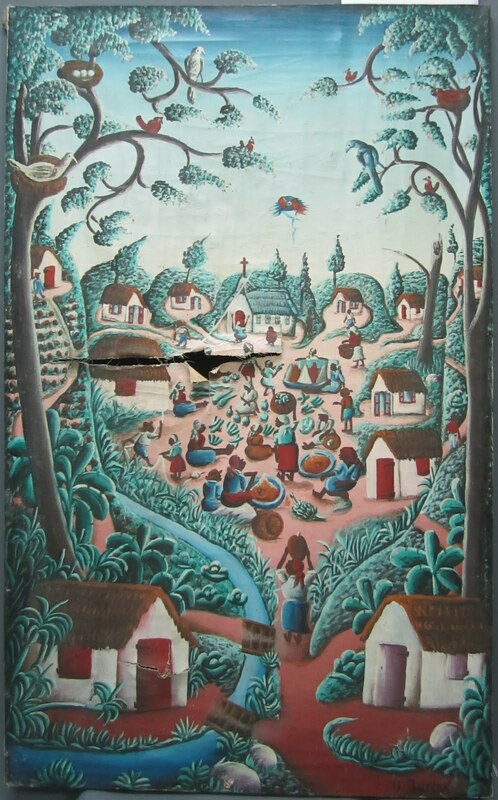 Source: Conservation of Paintings-Smithsonian Institution Haiti Cultural Recovery Project. Also see [pdf]. This entry was posted in Haiti and tagged 2010, archives, earthquake, Haiti, history, memory. Bookmark the permalink. Post a comment or leave a trackback: Trackback URL.